There’s nothing wrong with snapping just anything that takes your fancy if you’re a keen photographer who keeps a camera in the van, but a more disciplined approach to your subject matter might help you capture some truly impressive images. 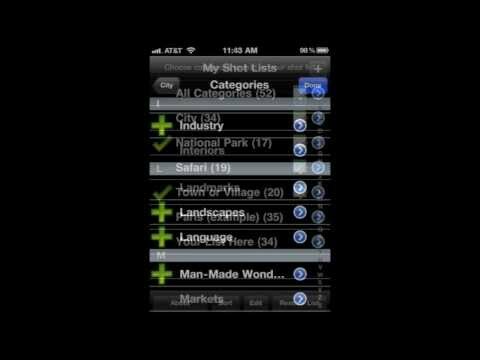 My Shot Lists for Travel is an iPhone app that sets out to do just that. The app is the brainchild of travel photographer Ralph Velasco and it’s essentially a distillation of a course he teaches on the same subject. The app is essentially a checklist of photograph categories that, if completed, will provide a rounded portfolio that provides a compelling cultural portrait of a particular place — at least that’s the idea. If nothing else, the app might give you some inspiration for shots when you’re somewhere that otherwise seems to offer few creative opportunities and it also includes sample photos from Velasco’s collection to help clue you in on the possibilities. Better still, the app is just 59p on iTunes, so it’s worth it even if it only helps you with a couple of shots.